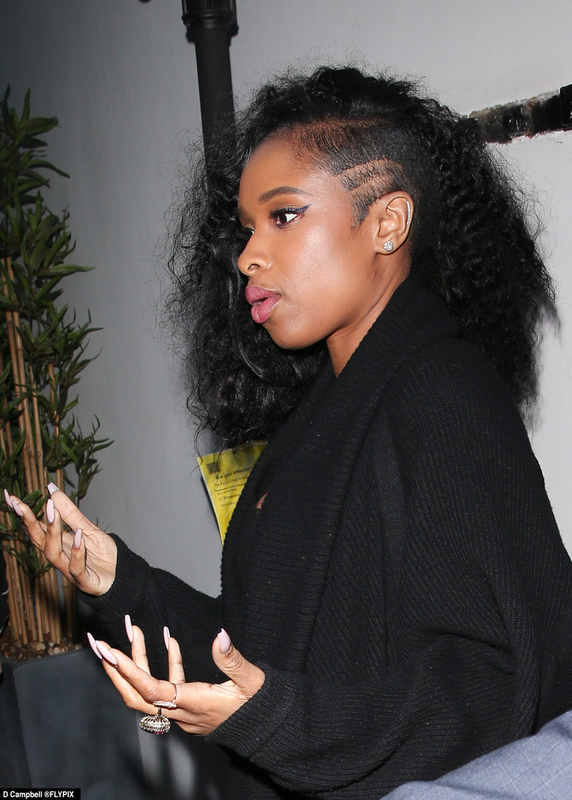 We’re used to seeing pictures of Jennifer Hudson looking bold and beautiful so we were somewhat surprised to see the TV star using the back door at a public event in London. Wearing black denim trousers, cardi coat, gold ankle boots and T shirt, US Stage, Film and TV star looked fresh-faced and composed despite the surprising situation as she exited AOL in Camden via the back door. According to photogs the fun and games didn’t stop there. “Hudson exited AOL then headed towards the West End. Her drivers took a bazaar route which included driving four times round a roundabout in Fitzrovia,” it was reported. Voice UK TV judge Jennifer Hudson showed off her natural beauty and appeared on ITV’s Loose Women and Steve Wright’s BBC radio show earlier in the day.